Our list has been inspired by the shoes we are currently wearing from Jambu. 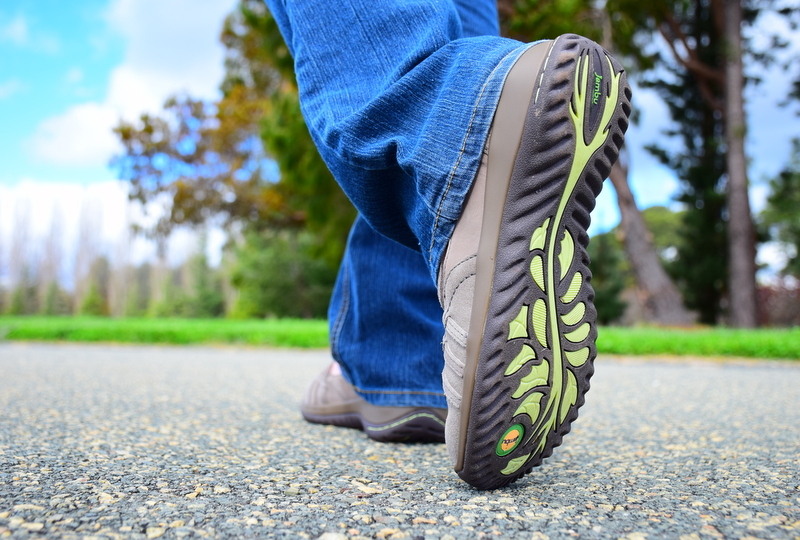 A collection of adventure designs for both the great outdoors adventures and urban excursions, Jambu have been sending us their footwear to review for the last two years, and we absolutely love their shoes. As a rule of thumb, when looking for a good travel shoe, make sure it has all the same features of footwear from Jambu. We’ve put together a list to guide you when picking your next pair of travel shoes. You shouldn’t compromise on any of the following features. The most important thing when considering a travel shoe is comfort. Comfortable feet are happy feet. Impractical shoes guarantee you’ll have a terrible trip. You need shoes that you’re comfortable wearing all day, because when you’re traveling you don’t often change them. And one of the biggest keys to comfort is to break them in. Dance around your house, wear them on a weekend staycation before your big trip; make sure you purchase your shoes a month or two in advance to allow yourself plenty of time to break them in. My personal favorite is the Montana from Jambu (below) – it’s a woven criss-cross flat, made using Nubuck and shimmer suede. It has 2 inches in height with a half inch platform. It also has a hook and loop closure for easy entry with a side goring for extra comfort. The memory foam footbed provides all day comfort while the outsole is there for superior grip. You would think that this was a straight forward tip, but would be surprised at how often travelers rock up to a destination with inappropriate footwear. Match your shoes to the destination and activities you’ll be undertaking. For instance, a pair of flats isn’t appropriate for trekking through long grass in the Amazon. And vice versa, a pair of heavy-duty hiking boots is probably overkill for walking down Fifth Avenue in New York. Planning to wear one pair of shoes makes it much easier to pack for a trip. Those six just-in-case pairs usually add up to the most weight in your luggage, and it’s fairly rare that you end up switching shoes throughout the day while traveling anyway. If the same kicks can take you effortlessly from shopping to a 6-hour walking tour to dinner, without giving you blisters, you’re set. Aim to keep your shoes simple and lightweight. The key to a shoe that is truly versatile is in traction and durability. Look for something which has traction and toughness to conquer any terrain. 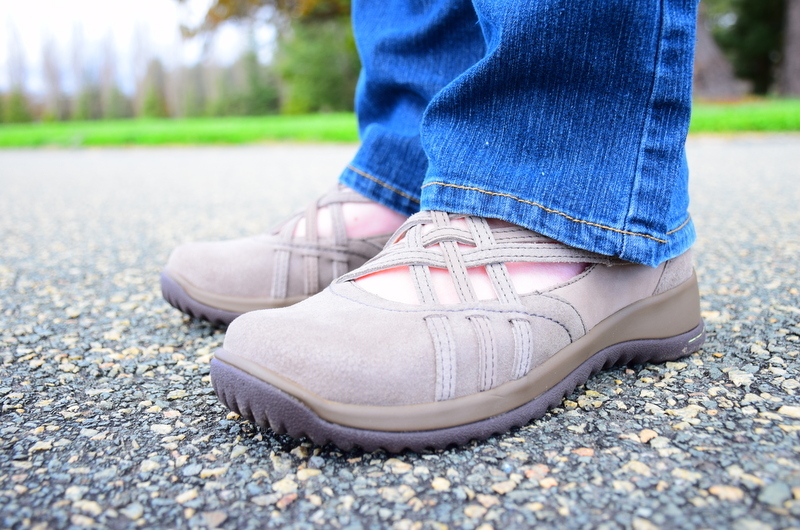 We love the Jambu collection for their “All Terra Traction”. Non-marking and partially recycled compressed rubber outsoles mean superior traction and durability which makes them suitable for outdoor adventures and urban excursions at the same time. Don’t go near a shoe which isn’t waterproof, or at the very least, water resistant (Jambu shoes are both. For other examples, check out these cozy water shoes on ShoeAdviser.com). It’s a sad fact, but sometimes it rains on holidays, and even if your forecast is for clear skies, there are always exceptions to weather patterns, especially if you’re traveling during transitional seasons. A little bit of wet weather shouldn’t stop you from sightseeing, but walking around with wet, soggy feet will probably make you want to. So make sure you’re set with the best waterproof shoes for travel that you can find. We obviously recommend Jambu – their SATRA certified waterproof styles protect your feet from the elements by keeping water out, and the materials are treated with protective fibers that guard against the penetration of water. All styles feature the use of water drainage ports and quick drying materials to help resist water. When you’re shopping for a shoe for travel, keep in mind that you’re probably going to be wearing it all day, every day. Make sure you look at designs which regulate airflow to your feet and help wick away moisture, keeping you cool and dry. This goes to comfort, and versatility, as will mean that they’re suitable for wear throughout a number of different altitudes and climates. But your travel companions and those sitting near you on a flight will also appreciate that you’ve not brought the smell of feet back with you. When push comes to shove, comfort is more important than fashion, but hell, some of us want to look cute too! Fashionable walking shoes for travel do exist, and after finding something on trend, you won’t be tempted to travel with impractical shoes. I’m currently wearing the Slyvie Women’s Leather Boot from Jambu. The Sylvie is the perfect combination of style and comfort for a travel shoe. Made using leather and vegan textile, the woven elastic and buckles provide interesting detail while making the shoe a breeze to slip on. There’s a two and a half inch heel with a 1 inch platform which make it easy to be on your feet, and the memory foam footbed is going to keep you comfortable all day. The All Terra Traction outsole provides you with superior grip. One of the biggest emerging travel trends is a focus on responsible travel, and that applies to the products we choose too. Choose a shoe like Jambu which are made from compostable, sustainable materials while providing the same comfort and quality standards. Jambu take their dedication to the environment one step further in that all their designs are Vegan friendly too. No animal products are used, yet there’s no sacrifice on comfort or quality standards. Going off our rule of thumb, when looking for a good travel shoe, you should make sure it has all the same features of footwear from Jambu. So you may as well start by browsing their collection first! We have not been paid to promote Jambu. Their shoes are the definition of comfort, and we’ve been wearing them for the past two years for our adventures throughout great outdoors, and on our urban excursions too. Designs are defined by customer needs that allow them the freedom to explore and have great adventures on their own terms in comfort that is uncompromising. There’s an easy readiness to the function and a friendly ease of wear. The company’s greatest mission is to create outdoor-inspired shoes with on-trend fashion elements. Devilishly Clever Sandals For Fabulous Feet Abroad. Jambu provided complimentary shoes for review. The fact that each of their designs are comfortable, versatile, appropriate for all destinations, waterproof, stylish, and eco/vegan friendly absolutely influenced our opinion of the shoes. This is something I constantly struggle with every trip. It seems like my tennis shoes get used for everything even though they aren’t meant to take the beating they get! These seem like they are great for all sorts of activities you could find yourself doing while traveling. It’s also nice they have multiple different options to appeal to different people! 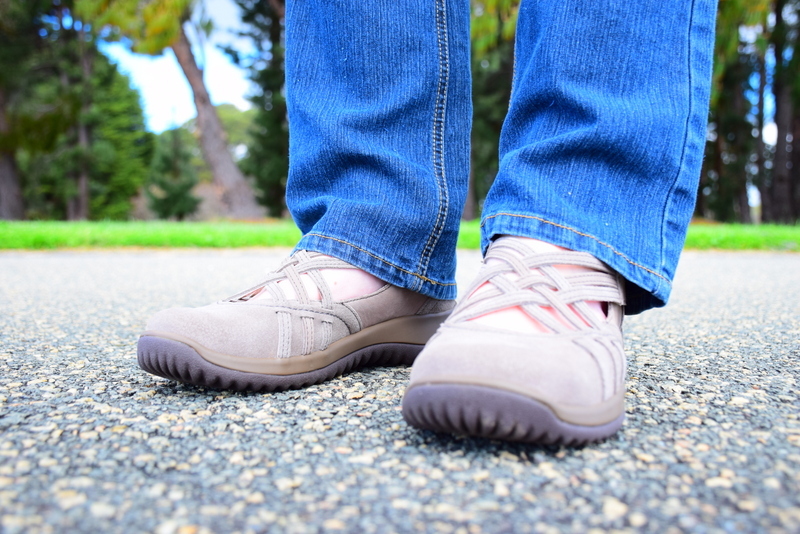 Highly recommend checking out Jambu – they have some fantastic durable shoes which are just as casual and easy to throw on as your tennis shoes … but will endure a beating a lot better :D! I am DEFINITELY going to look into getting a pair of these (specifically the slightly heeled booties) ASAP. 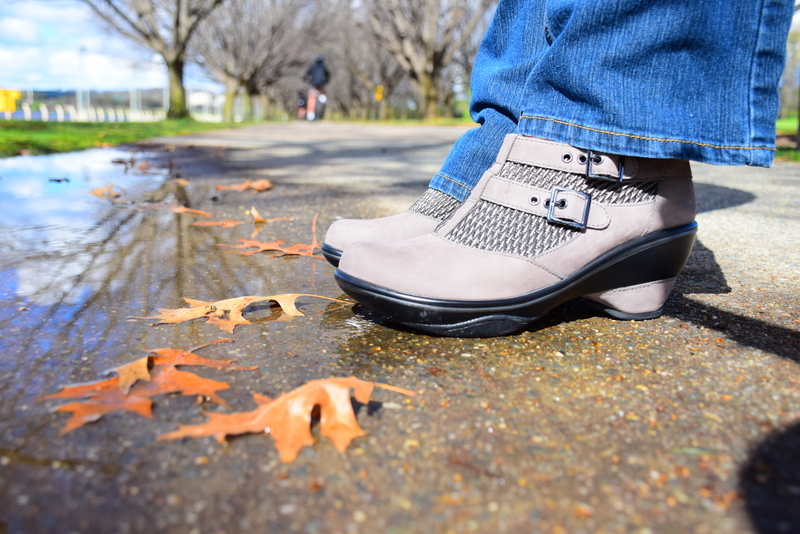 They look like the perfect shoe – stylish and waterproof and comfy? Pretty sure all my shoe dreams just came true. I have so many pairs of travel shoes I could start a shoe shop! They always seem to be more comfortable when you try them on in the store. I do like the look of Jambu’s range but I suspect the shipping to Australia might add a bit to the cost. 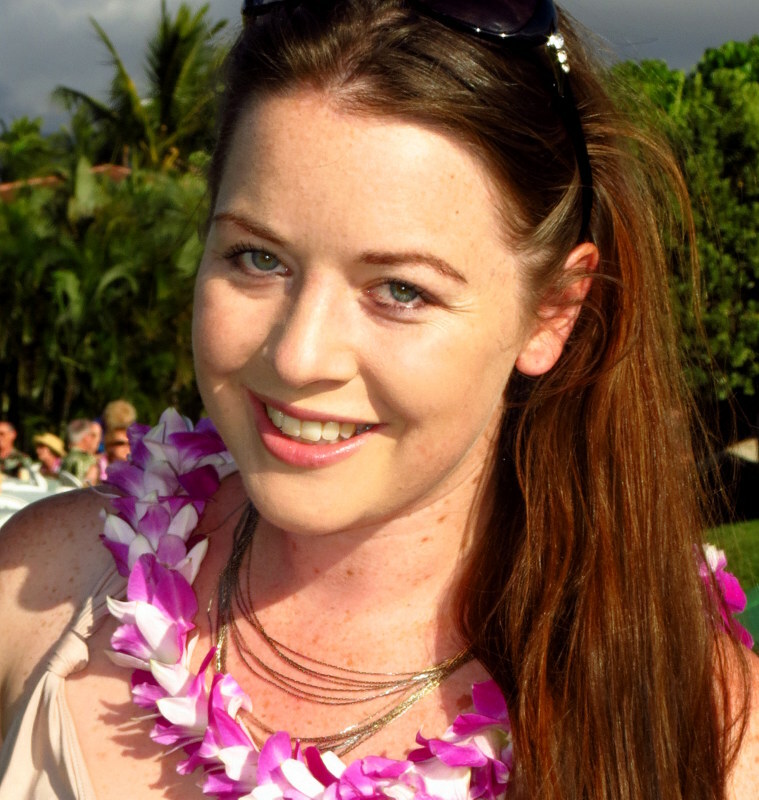 You’ll love their shoes Bailey – ticks off all the boxes! Your tips are on-point!!! Finding comfy stylish travel shoes have always been hard for me. I used to pack heels in my luggage, but stopped doing that many years ago. Comfort and versatility all the way! My travel always involves a lot of walking, whether it’s pounding the pavements of a new city or hiking wilderness trails. How have I never heard of Jambu? I wonder if they are available in the UK. There is nothing more important than comfy shoes when you are travelling as you do so much walking and exploring. And who can predict the weather! Keeping you dry in the weather is why I especially love Jambu – can’t tell you how many times I’ve ended up with wet and soggy feet in the past before I was wearing them! These shoes are really cute! I like that you’ve been using the same brand for 2 years, which shows that you know what you are talking about. I love the idea of waterproof AND eco-friendly shoes. Win win! Completely agree! Shoes are one of the most important items that you can pack. And they take up a big chuck of space, so choose wisely. The Montana flats in your top photo would be super cute with a sun dress, shorts, and a variety of outfits for traveling. Good choice. These are great tips! I’ve suffered many blisters trying to be easier on my budget or more trendy, but I’ve learned my lesson. I’ve decided that my comfort officially trumps style. Teva sandals are my favorites – if the weather permits of course! Great tips! Thanks Paige :) I think that’s something we’ve all learnt the hard way!! Much better to invest in good quality shoes with comfort as the main key than to save and have to throw the shoes out because they give you blisters, or have sore feet ruin a trip. This is such a help for me since I have been struggling a great deal of which shoes to wear every time I climb mountains and just a walk around the city. I have now an idea when I buy another shoe. Thank you so much for sharing about it. 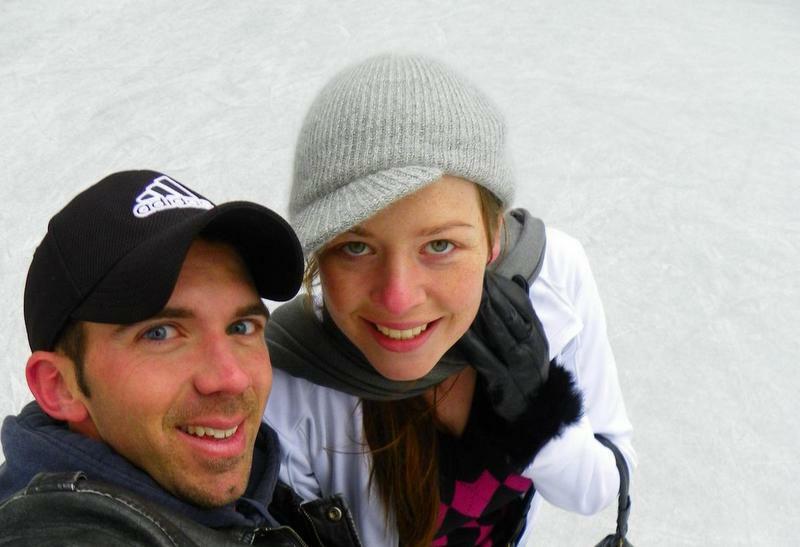 So glad we could help LaiAriel – you can use the above as a checklist when looking to buy a new shoe :) Happy travels! Whenever I travel I either always wear or wear my nikes, adidas or all stars, and they are sooooo comfy and I can use my nikes as working out shoes at the same time too. For hiking, as Machu Picchu style, I always bring my hiking shoes. And then there are still slippers for wearing when you’re going to the beach or need to take a shower. And for a good night out there needs to be a bit of a fancy shoe.. Too many shoes I need to bring haha. First world problems right?! When we have a good pair of shoes, we can go to wherever. I feel this. And i like your sharing. Personally nothing worth going bare foot! Unfortunately you can not always do it! I”m a HUGE believer in great shoes (and great socks) because like you said…no one is happy with blisters!! We also tend to do a lot more walking and standing on vacation than we do in ‘real life’ so great shoes are a must. We always bring two pair – one to wear and one to pack. This way my feet can sort of rest from where shoes might rub. Even the greatest shoe in the world can create an ouchy spot on your feet if you wear them for enough miles! I confess that one pair of shoes is always a low hiker. These are sturdy for cobblestones and since they lace up you can loosen or tighten according to being swollen or not. The brand of shoes you mention is a new one for me and I love the slip on ones in red. They are so cute!! And cute and good walking shoe…don’t always go together. I’m definitely going to look those up. I hope they are available here in the states – if not, surely online. We are global shoppers, too, right? Don’t forget the kids! We always travel with the kiddos and they need great shoes and socks, too. Ouchy feet at any age is just a bad idea!! Great idea on traveling with two pairs of shoes Natalie – I hadn’t thought of that before, but it’s brilliant, because each individual pair of shoes do always tend to have their own signature rub point. Yes, Jambu are available in the states, and they also have a kids based line, so there might be some fab new pairs you could add to the kids stockings for Christmas :) Agree that you don’t want anyone in the family having painful feet while you’re traveling! These shoes are really cute, stylish and waterproof. Good choice.